Because protecting your laptop is a must. From backpacks to messenger bags, keeping your laptop safe and sound with a bag is often a top priority. After all, a significant amount of money was spent to buy these devices. 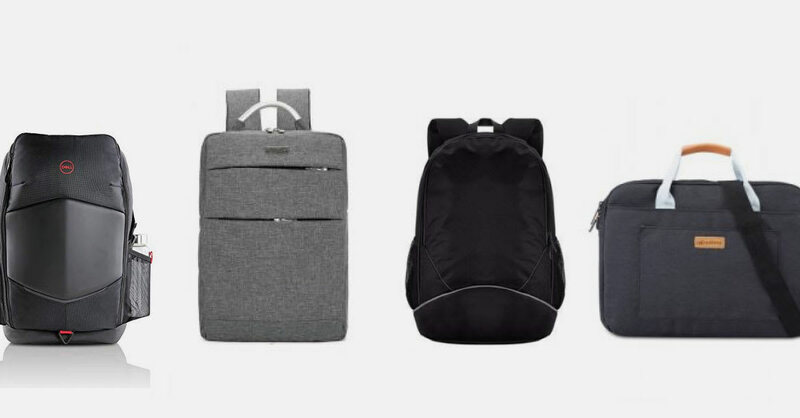 But aside from the common laptop bags, there are designs these days that have specialised functions, and they are available at less than RM100 too! To know more, check out our list below. Suitable for both men and women, this waterproof laptop bag prevents your laptop from getting soaked under the rain or if you accidentally spill a drink on it. With 2 compartments, fit more and organise your belongings as desired. Suitable for laptops up to 15.6 inches. A classy, modern 2-way laptop bag like this one will suit a man in any attire. Made out of polyester, carry this bag either using its twin top grab handles or on your shoulder using detachable straps. Truly versatile! For those who are always on-the-go with multiple gadgets, a laptop bag with a built-in 2.0 USB charging port might be especially helpful. It is also convenient to use as it is located right outside the bag. Furthermore, the anti-theft zip pocket located in the front grants extra protection to keep your valuables safe from pickpockets! A 17.3-inch version is also available for those wanting a bigger one. In addition to the fact that this bag has wheels, it also comes with a detachable stand, making it possible to carry the bag like a backpack on the days you don’t want to drag it. There is ample space for you to store not just your laptop but other necessities as well and is perfect for use at work, school or even when travelling. Protect your bag from the rain with this laptop bag that comes with a deployable rain cover. It is also better to be safe than sorry as you will never know when it rains! Aside from being extremely spacious with multiple compartments, the straps of the bag also distribute weight equally on your shoulders so that you’ll feel less pressure on it. It’s no secret that girls (and women!) would often prefer a lightweight bag over one that weighs a ton. With its practical design and detachable shoulder straps, carry it around easily on your shoulders or with the handles. The pretty pastel blue bag also adds a nice pop of colour to any outfit! Tired of carrying your laptop bag to and fro from work, college or even when travelling? Well, this GadTech bag solves that problem with its padding on the back area and shoulder straps. No more feeling like you’re carrying a rock! It also comes with two side mesh pockets that you can use to store your umbrella or water bottle conveniently.